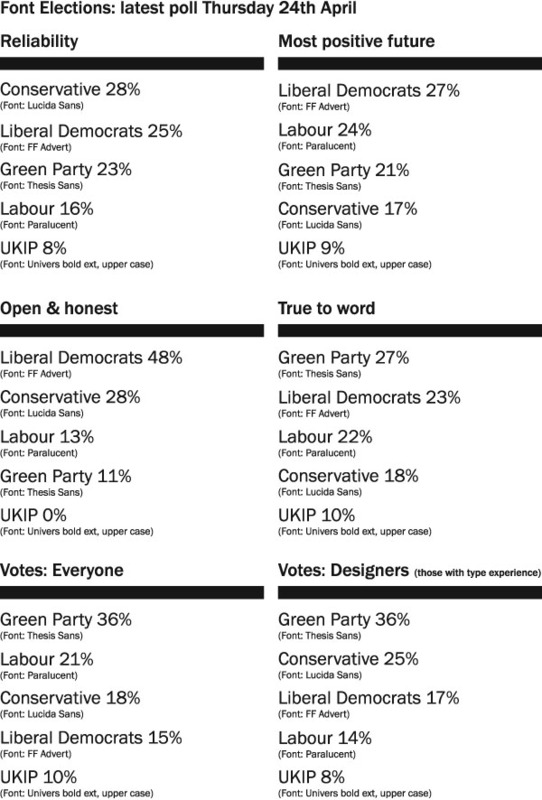 The Green Party has come out as overwhelming winner in a poll to find out which political party font people would vote for. Designer Sarah Hyndman has conducted a survey to find out how people react to the typefaces from the major national party political logos. Hyndman has recently published book The Type Taster, which looks at the emotional reactions that people have to typefaces and how fonts can have their own “personalities”. For this new survey, Hyndman has asked respondents to rank the party typefaces on reliability, honesty, positivity and other criteria. All typefaces and parties are anonymous in the survey, which is open to both designers and those without typographic experience. The Green Party is currently leading the poll with its Thesis Sans font, which has picked up 36 per cent of the overall vote. Respondents described the typeface as “solid and reliable”, and “not too grabby and bold”. Labour (Paralucent) comes second with 21 per cent of the vote; the Tories (Lucida Sans) are third with 18 per cent; the Lib Dems (FF Advent) are fourth with 15 per cent and UKIP (Univers bold extended upper case) are fourth with 10 per cent. People responding to the survey described Labour’s typeface as “light and positive” and “playful” and the Conservatives’ as “strong and confident” and “not too fancy”. The Lib Dems’ font was described as “Clean and clear” and “more open for honesty”, while UKIP’s was criticised for being “a bit aggressive”, “desperate” and “angry”. The political typeface survey is still open for responses at www.surveymonkey.com. Design Week also asked a panel of designers to analyse the major political party logos. You can read what they said here. We also asked all the major political parties to tell us what they would do for designers: you can read their responses here. Meanwhile in this piece we analyse the parties’ manifestoes to find out what they are promising the design industry. 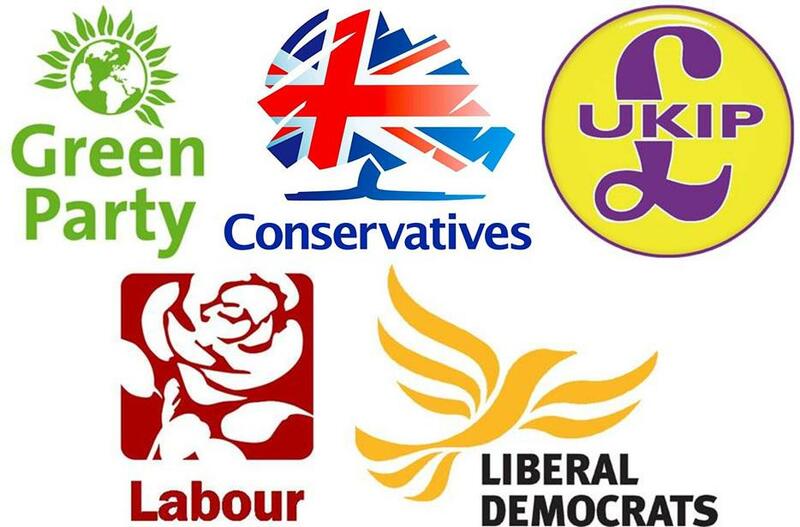 Which party would win a branding election? The political party manifestos – what do they mean for designers? All parties are short sighted for not considering bespoke type design that would really make them stand out.